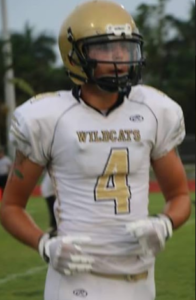 Dannie Sanders, team leader, is ready to make big time plays his senior season when the Wildcats hit the field this fall. Sanders not only makes a positive impact on the field he does the same in the classroom carrying a 3.48gpa that many college coaches around the nation would love to have on their roster when he graduates. 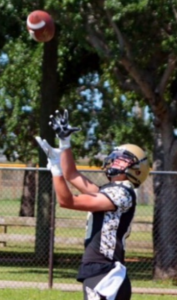 This 6’4″ wide receiver will be making his way on to many recruiting boards soon. Sanders is not only athletic, he is also smart and is learning to master the recruiting process fast. 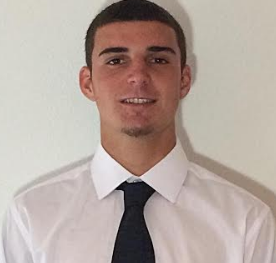 Danny plays for Western High School in Davie, Florida, lead by Head Coach Adam Ratkevich, and they are coming off their best season in history of the school with a record 9-1 regular season and a first round appearance into the state playoffs. They have plenty of returning starters to make a run for the championship this season. After completing Introduction: The Truth about Recruiting were you aware of this information prior to seeing it here? (Yes or No) Explain. As you have progressed through the program, what are some of the things that stand out in your mind? What have you learned so far and how can that information you’ve learned be used in your everyday life? Do you understand how the Recruiting Board at the University works? If so, how? How is a college coach going to know who you are? Why is you ‘character’ and ‘reputation’ so important now and in the future? As you have progressed through this topic, what are some of the things that stand out in your mind? What have you learned so far and how can that information you’ve learned be used in your everyday life? Do you understand what a National Letter of Intent is? Do you understand what happens when a National Letter of Intent is signed? ‘The PTRG program is a series of online modules that offers a great opportunity to learn the do’s and don’ts of college recruiting. It teaches you how to properly portray yourself, self-advertisement, and negotiating tactics.’ Sanders continues,’the PTRG program is a series of online modules that offers a great opportunity to learn the do’s and don’ts of college recruiting. It teaches you how to properly portray yourself, self-advertisement, and negotiating tactics. Stay tuned for more as Dannie has 4 more lessons to complete before becoming PTRG Certified. SANDERS HITS THE ‘STEALTH TOP 60’! CLICK THE LINK TO HIS RATING.